John’s practice focuses on ensuring families and businesses can thrive in Kansas. Prior to earning a law degree, he worked on the staff of two Kansas Senate Majority Leaders in Topeka, Kansas. During law school, John represented several clients as a lobbyist before state agencies and the Kansas Legislature. He continues to be actively engaged in Kansas policy and politics on behalf of clients and has advised a number of candidates seeking election to local and state offices. John is committed to helping his community grow and helped start the Pratt Young Professionals organization to engage others in community development. In 2012, John served on the Committee for the Pratt Regional Medical Center Ballot Issue to improve Pratt’s healthcare facilities. 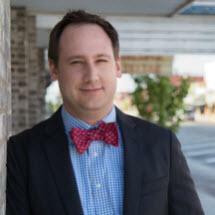 Originally from the Kansas City area, John joined the firm in 2009. John and his wife, Tracey, have three children.